In January 2017, a Hindu man named Bhargav heard the gospel and came to faith in Christ. A week later, he shared his faith with a Muslim friend, who didn’t respond to the gospel but told his Hindu neighbor about Bhargav’s conversion. The Hindu neighbor then spread the news that Bhargav had become a Christian and was sharing his faith with others in the village. 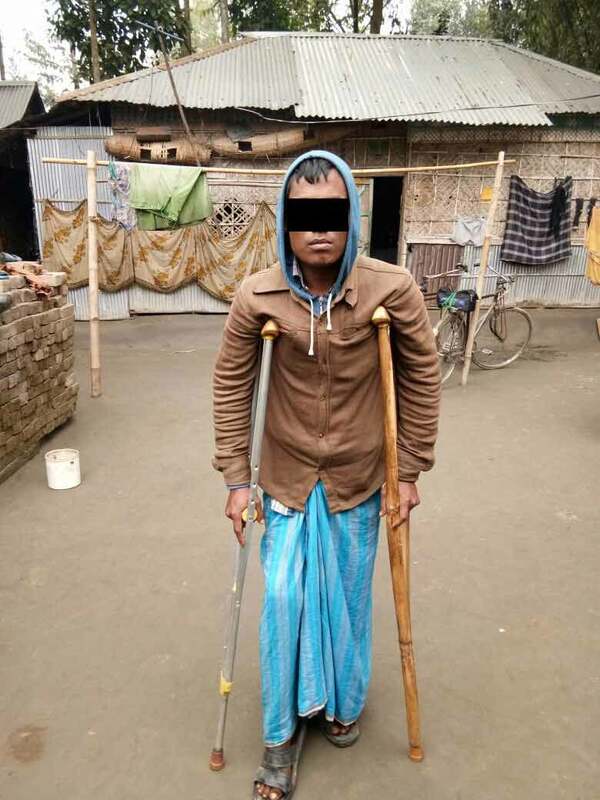 A week later, a group of Muslim and Hindu teens beat Bhargav; his brother, Paynam, who had also accepted Christ, was later beaten by some Muslims. Both Bhargav and Paynam have received death threats since the attacks, and they are now staying at a safe house with their families. Pray that Bhargav and Paynam will heal from their injuries and that their faith will be emboldened by this persecution. Pray for their families’ protection, and pray that those who are persecuting them will c ome to know Jesus. Paynam’s leg was badly injured by the Hindu attackers.